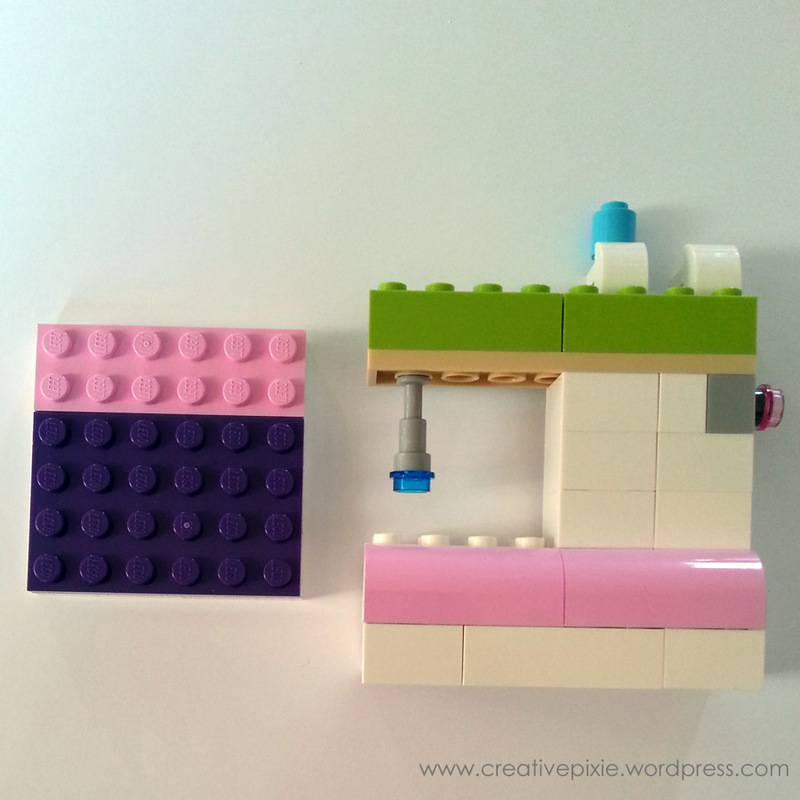 This week I’ve included a little fun make for the children (and big children) – a LEGO sewing machine. My girls love playing with LEGO and it’s something I would encourage them to play with as it helps develop the logic part of their brains as well as their fine motor skills. Ever since we went to see The LEGO Movie last week they have shown more of an interest (if that’s possible), Miss P asked if I’d build her a LEGO city! 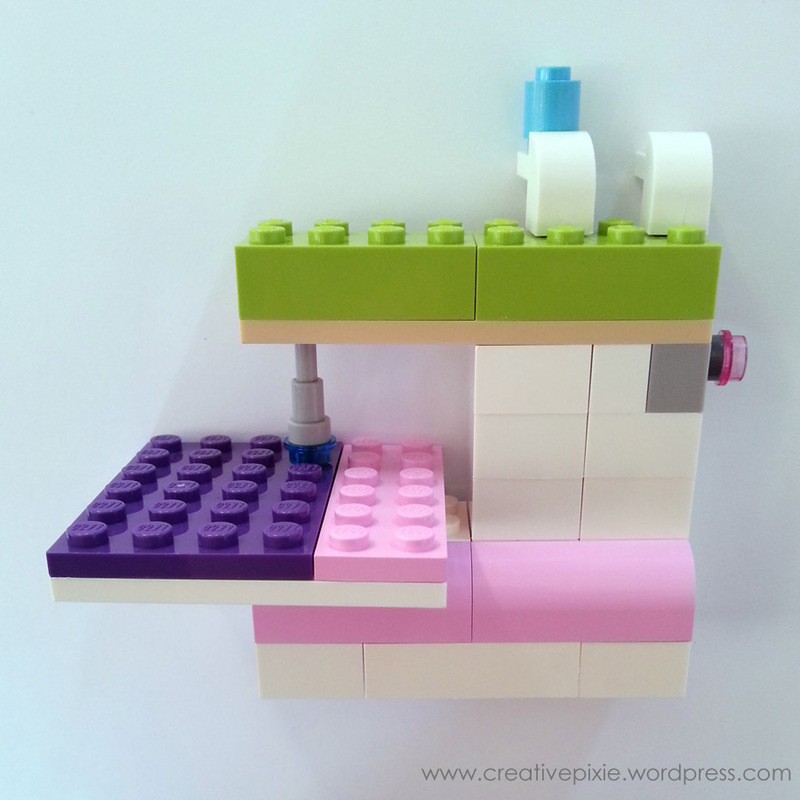 Alas we don’t have that much LEGO but I went through all her blocks and I made a fun little LEGO sewing machine. If you want to have a go here is the free tutorial to download, stating what blocks you need and how to assemble them. I even made a little LEGO piece of patchwork (ha ha! ), using blue ‘thread’ to sew together the pink and purple ‘fabric’. Yeah it’s just a bit of fun, Miss P loves LEGO Friends so she’s got a few pink bricks. We love legos!! This is super great! Very cute! 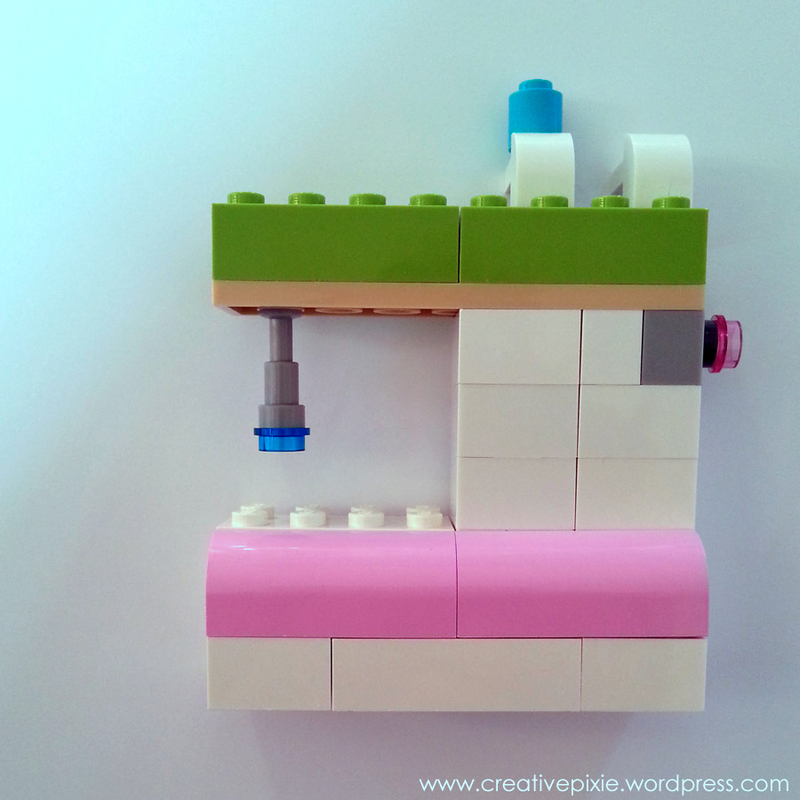 I think I need a lego Bernina!